complex where swimming, sunbathing, and fantastic sunsets await you! Enjoy an aerial video of the Hale Kamaole complex and Kamaole Beach Park III. 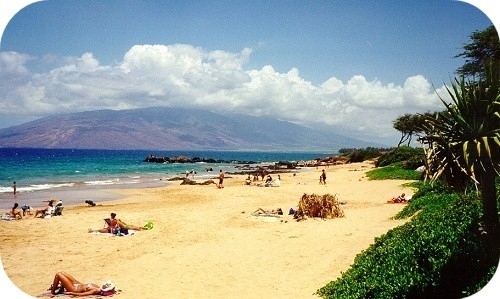 Relax in the Maui sun on uncrowded beaches! Enjoy spectacular Maui sunsets at Kamaole Beach! View more images of Hale Kamaole and Kamaole Beach!